Everyone, it seems, has a natural primeval urge to seek out high energy dense or high calorie foods, as one type of sugar called glucose is literally our brain food. Our bodies make glucose by breaking down the carbohydrates, proteins and fats that we consume, so it’s actually unnecessary to add glucose to our diets. Science has shown that sugar is addictive and has a powerful effect on the reward centers of the brain. Sugar is pervasive in the standard American diet and the high level of consumption is a major contributing factor to the alarming state of unhealth of our citizens. The big sugar industry has known since the early 1970’s that excess sugar could be damaging to public health. And to protect their own corporate interests, the sugar industry set out to undermine science and subvert sensible regulation, an all too familiar tactic. Back in 2003, the World Health Organization (WHO) recommended that people limit their added sugar intake to 10% of daily calories. The sugar industry had no trouble taking their complaint to the U.S. Congress, which consequently threatened to pull WHO funding. Unsurprisingly, only 5 months later, the recommendation just simply disappeared. Politics aside, denial of the deleterious health effects of added sugars has become not only a health issue, but a moral issue as well. A food and beverage corporation recently attempted to blame the obesity epidemic on consumers’ failure to exercise, causing an uproar from scientists who say that exercise is good for you, but if you want to lose or maintain weight, you’ll need to cut back on sugar and processed food and opt for healthy nutritious whole foods. As the FDA prepares to refine nutrition labels to reduce confusion and make it easier for consumers to keep track of exactly how much added sugar they are consuming daily, groups such as the American Bakers Association and the Sugar Association are challenging the changes every step of the way. Even though more people are reading labels and attempting to decipher them as they currently stand, it’s time for us to take control of exactly what we are feeding our bodies. 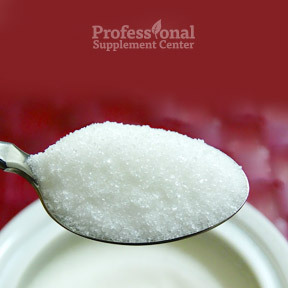 Knowing how much sugar is added to our food is a good step in the right direction. One thing we do know is, we can’t go on ignoring sugar consumption and good nutrition if we want to live longer and have healthier lives. While a recent Gallup poll reports that 63% of Americans say they actively avoid drinking soda and other sugary drinks, nearly half of Americans drink at least one soda per day. Just one can of cola for example, contains 44 grams or 10 teaspoons of sugar, surpassing the American Heart Association’s recommendation of a maximum of 6 teaspoons of added sugar daily for women and 9 teaspoons daily for men. Alarmingly, one sugary beverage per day equates to 50 lbs of excess added sugars a year, way more than our bodies are designed to handle. And that is only what we consume in our drinks. Annually, the average American consumes 130 lbs of refined sugars that contain no essential vitamins, minerals, enzymes or fiber. Processed, packaged and fast foods all contain hidden sugars, which can have harmful effects on metabolic processes. Proposed label improvements are imperative, as the current nutritional label is designed to keep us in the dark, and what we don’t know can be seriously detrimental to our overall health and longevity. American attitudes are changing, as more people become aware that consuming excess sugar raises the risk factors for developing chronic diseases. The new nutrition facts label is designed to make servings sizes, calories and daily values of the various nutrients easier to understand. The proposed listing of added sugars, separately from the natural sugar the food may contain, has been the most controversial change. While the food and beverage industry opposes this modification, the added sugar labeling recommendations are necessary, as only a well informed consumer can make healthy dietary changes once they decide to improve their health and longevity and reduce their risks of developing chronic disease. A reckoning is not far off. Should the obesity and diabetes epidemics continue to escalate, 1 in 3 Americans will have diabetes by 2050. The impact on health care costs will be all consuming and unsustainable, as diabetes has a deleterious effect on the entire body and as such is a very costly chronic disease. As we struggle to contain obesity, diabetes and the alarming rise of other chronic diseases, our desire to change our diets or lose weight far exceeds our efforts. Ideally, the average American would like to weigh 15 pounds less than they do, yet many are not making the dietary changes that are necessary for weight control. And, while 7 of 10 Americans report eating fast food weekly, only 25% believe it has some degree of nutritional value. It appears that the appeal of sugary drinks and the convenience, taste and low cost of fast food products considerably outweigh the health concerns. The question remains, do you trust food and beverage corporations with your health? If your answer is no, opting for water in lieu of sugary drinks, and nutrition-rich whole foods in lieu of fast and processed foods are good ways to get started on a better path to a healthier life. This entry was posted in Home and tagged Professional Supplement Center, sugar, Vitamins and supplements, www.professionalsupplementcenter.com. Bookmark the permalink.